CAN NOTHING HOLD IT BACK? Horror rpgs continue to mutate and expand. It order to make these lists manageable I've had to reduce the span covered and be more discriminating about items on them. I have a few ideas about the increasing rate of publication; some I've mentioned before: the internet, dtp technologies, electronic distribution. Indie Press Revolution gets its start in this period- I recall tracking a number of new games through IPR. I do think that more indie games worked horror themes than other tropes, but that's an anecdotal observation. I suspect that's shifted in recent years especially with OSR-style indie gaming. The continuing rise of d20-based materials also offers another reason, but that may reflect a general trend not unique to horror rpgs. Not sure I can explain the explosion. It would be worth tracking numbers of products released in these periods generally, but doing so would require making some tough data decisions- do you include pdf-only products? what about freebie items? Should you track all items or just core rules? I need to look at Designers & Dragons and Playing at the World to see if they have any insight. The biggest horror-gaming event in this period combined creation and destruction. White Wolf moved on to the new World of Darkness, but they did so by blowing up the old one. The various oWoD lines had complex, contradictory, and opaque metastories running through them. The Time of Judgement series finished off the various lines by offering GMs ways to finish off their campaigns with the end times. Gehenna, Apocalypse, and Ascension finished out the big three lines. Everything else had to make due with World of Darkness: Time of Judgment. The books were mixed- some interesting revelations and ideas mixed with indulgent material. By their nature they closed off imaginative space and possibilities. Those who had invested heavily in the setting suddenly had a choice as the line rebooted: stick with the old, buy into the new, or jump ship entirely. I certainly saw a mix of approach two and three in our area. As always, I've left off a number of interesting games for various reasons. A number of "Action Horror" rpgs appear in this time- MotoCaust and Splicers for example. Both of those are interesting, but lean to action well over horror. For the same reason I left off one of my favorite sourcebooks, Nocturnals: A Midnight Companion. It uses horror imagery, but at heart is about superheroes and pulp action. I also left out The Darkness and Empire of Satanis because they seem to be focused on different genres. The Farm and Innana's Kiss got cut despite being interesting based on size and focus. I'm sure I've left something off, feel free to add a line I missed (if published from 2004-2005). I've arranged these in chronological order by year. I've also skipped editions and republications, sticking solely with first appearances. 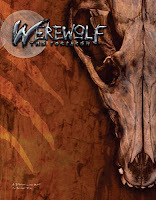 The first book from White Wolf for the new World of Darkness and a smart first step. By creating a set of core rules, isolated from individual settings, they could establish new lines more easily and allow players to smoothly move from one game to another. While they simplified the rules in many ways, World of Darkness remains not exactly a high-crunch system, but rather one with many rules- and those rules have exceptions, new mechanics, non-symmetrical systems, and an abundance of detail. WW has always had a tension between narrative-focus, a desire to avoid player exploits, and the need to create new sourcebooks and rules. WoD doesn't solve that, but it does make entry to the system easier. The setting-specific horror lines using the World of Darkness 'Storytelling' system get most of the attention. But White Wolf has also produced a number of useful generic books. 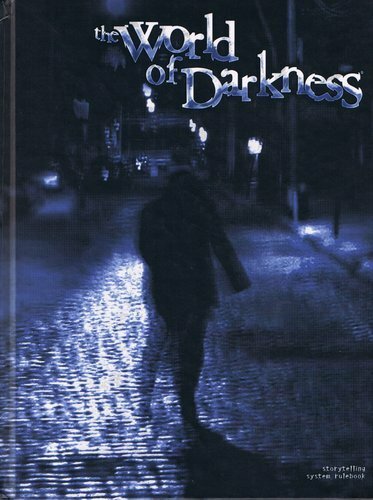 In the past, those WoD books (like World of Darkness: Combat, World of Darkness: Mafia, A World of Darkness: Mummy (1st Edition)) were narrow throwaways or grab-bags. New line products like Innocents, Dogs of War, Tales from The 13th Precinct, Ghost Stories, Midnight Roads, Mirrors, Slasher, and Second Sight actually offer innovative campaigns for the system and solid resources for many horror gamemasters. I never bought into the new Vampire. I'd run a pretty solid Vampire the Masquerade campaign with a beginning, middle, and end. After that, I'd retired the campaign concept. But I had to admire the skill and presentation of the new Vampire: The Requiem. White Wolf developed a smart and unified approach to book design and layout. Everything looks good and remains distinct on the shelf. VtR also sets up the approach for the rest of the rebooted lines: players choose a race (clan, tribe, seeming, lineage, etc.) and philosophy (covenant, auspice, court, refinement). This allows players to fine-tune the splat they select. Vampire keeps much of the essential set-up and a few of the terms (like Gangrel, Ventrue) from the old setting, but replaces others. Most importantly, it soft-pedals the idea of a meta-story. VtR makes clear that cross-over and connection between the lines will be secondary, despite the shared core rules. Most supplements will focus on the core "monster" of the setting. Cross-over games will get little attention. Vampire the Requiem has been undercut a little in recent years by a return to Vampire the Masquerade. The on-again, off-again Vampire MMO will use the VtM setting, rather than the new one. White Wolf/Onyx Path has also been publishing anniversary editions and new materials for VtM which have grabbed attention. Dread offers a generic system to emulate horror stories, but with several striking twists. It addresses the central problem of horror games: how do you ratchet up tension? Classically that's been done with jump scares, sanity losses, and diminishing hit points. Strong narratives supply stakes and pressure as well, but that's not often a function of the rules. Dread uses a Jenga tower for resolution- a tactile and visceral mechanism. When players attempt challenging things, they must draw a block. Really difficult tasks may require drawing more than one. If the tower falls, the player suffers and is eliminated. The tower's a clock- raising tension and ensuring progress becomes more and more difficult. I'm amazed at how well it works- and how well the mechanic generates real dread. The Jenga system's an awesome innovation which often overshadows the rest of the game. Players don't have classic character sheets- instead they have a questionnaire about their to answer at the beginning. Players have different questions- pushing them in distinct directions. Doing these collaboratively at the start creates relationships and ties. A player can use these answers during play to convince the GM that they shouldn't have to make a particular draw (through skill or experience, for example) or that the draw should be less difficult. For my experience with this great game, see A Dread Awakening: First Play with Dread. Winner of a number of indie game awards in 2004, Dead Inside aims to be a truly existential horror game. Your character has been or become 'hollow' and empty in their life, but a revelation about the mutable nature of the world has come to them. That mutable world contains monsters and mysteries which you cannot unsee. There exist external horrors, but the game itself deals with your internal struggles. Play is about your journey in that world, with the possibility of repairing the broken nature of your self. Given Dungeons & Dragons' pseudo-medieval background, it's not surprising that there would be rpgs which tried to bring horror to a historical setting. Vampire: Dark Ages and the rest of those lines did that extensively- but from the perspective of the monsters and the empowered. Conspiracy of Shadows, on the other hand, takes the approach of Cthulhu Dark Ages which came out the same year in German. The players are simply people in a dark and brutal time, dragged into the fight against horrors of the night. Choosing to be different in these times may be just as dangerous as battling the forces of evil. 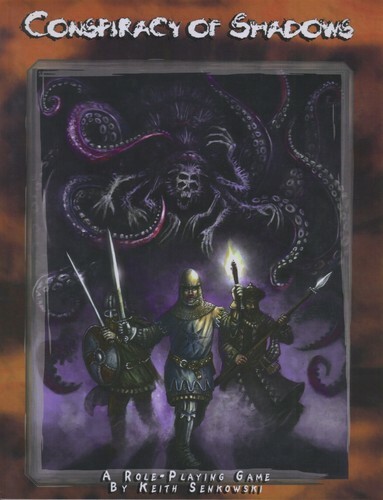 The third medieval horror rpg published in 2004 (along with Conspiracy of Shadows and Cthulhu: Dark Ages). A few supplements have been produced for Danse Macabre. The game itself can be downloaded from the Mythopoetic Games website. This breaks my rule about free pdf games on these lists, but I think it is striking to see such a narrow sub-genre have this many games appear for it. Another alternate history horror game, at least a game which wants to echo that tone. The game itself presents an abstract setting- the Town. You play 19th century Monster Hunters, but that's a fairly light dress on an even lighter set of mechanics. It's a simple approach that tries to emulate Hawthorne and Stoker. For a short, almost throwaway game, vs. Monsters has generated a surprisingly number of supplements. Sine Requie is an Italian RPG presenting a horror-tinged alternate history. While the horror begins late in WW2, it differs from products like Weird Wars: Weird War II. Instead it takes up in the aftermath of the dead rising from the earth and all manner of unspeakable supernatural things happening. 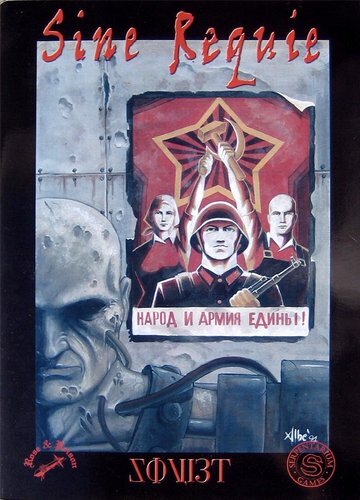 The Soviet sourcebook describes a country run by a soulless computer, the ultimate technocratic dream turned to terror. The game uses tarot cards for resolution rather than dice, but as far as I can tell has not been translated into English. It has several area sourcebooks (Sine Requie: IV Reich, Sine Requie: Sanctum Imperium for example). A secret order of magically-empowered persons fights back against the forces of darkness in a modern setting. Blood Games styles itself as an occult-horror game, with attention paid to the magics which players can develop. Interestingly it uses a life-path generation system, relatively rare among horror games. A revised edition of this game has been published as well, Blood Games II. 2004-2005 saw the release of a number of d20 horror products. For simplicity's sake, I've put these generic supplements together in this single entry. I've also left out the large number of smaller, usually pdf-only products covering narrow topics. 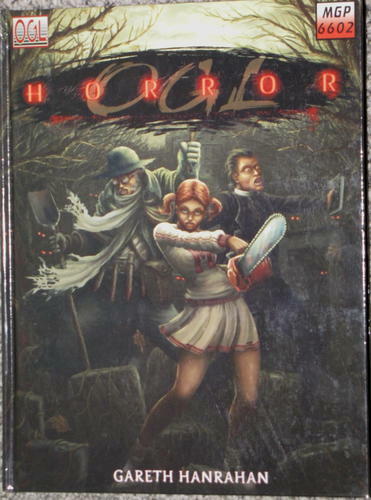 OGL Horror is a toolkit from Mongoose, part of their OGL Genre Core Books series. It's a little hard to tell at first, but it is based on the d20 Modern SRD. It tries to build a new and fairly complete approach to horror using d20. 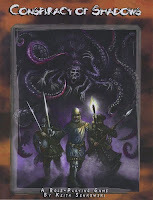 On the other hand, Darkness & Dread, from Fantasy Flight also supplies a toolkit, but this time full of ideas for introducing horror in standard d20 fantasy games. Publishers also looked to d20 as a means of presenting new campaign frames, such as Blood and Brains: The Zombie Hunter's Guide, Blood and Blades: The Profiler's Guide to Slashers, and Blood and Spooks: The Ghost Hunter's Guide from RPGObjects. Those add new rules and mechanics to help GMs bring traditional horror to the table. Green's Guide to Ghosts (2005) likewise offers a an approach to ghosts which could be dropped into d20 modern games. There's also Year of the Zombie which presents a zombie campaign frame, with room for tweaks and changes. Then there's WotC's attempt to bring horror generally to the D&D 3.5 world (aside from the goofy and "mature" Book of Vile Darkness). Given that they'd handed Ravenloft over to Arthaus/White Wolf, WotC had to do something. I always wonder how much horror one can really add to D&D, especially once players get past a modest power level. 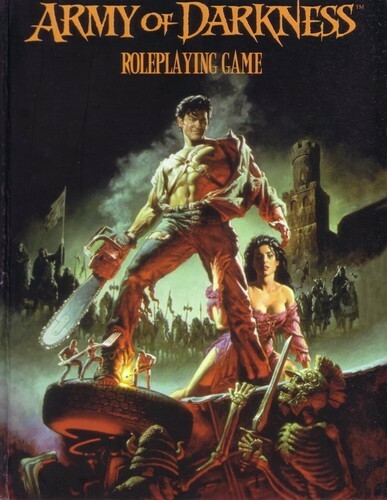 Other D&D-like games, such as Warhammer Fantasy RP manage it because the game is deadly and has relatively low-powered characters even after many sessions of play. 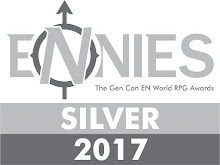 It makes sense that The EnemyWithin Campaign borrows from Call of Cthulhu; your average WHFRP character isn't that much more potent than the average investigator. Heroes of Horror does try to offer advice and guidelines for DMs wanting to inject horror to their games. It has another version of 'Taint' rules, a classic fallback for scary fantasy. 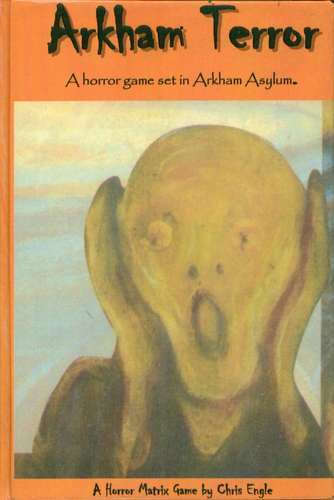 It also has some discussion of what horror means. But as expected, it also offers plenty of new rules and mechanics: feats, base classes, prestige classes, etc. "Haunting Melody" allows the character to inspire fear through music; the Archivist base class deals with forbidden lore; and the Tainted Sorcerer prestige class trades corruption for magic. It's a mixed bag. I read a review of Heroes of Horror on rpgnet, which made the sharp observation that while games like CoC are aimed at adults, D&D is aimed at a younger audience. Hence there's a limit to the kinds of themes it can work with. The original Werewolf had a strong following in our area- with several different campaigns happening among disparate groups. Many enjoyed the power these characters offered, some the complexity of the social interaction, while others dug the ecological conflict which wasn't as cut and dry as it appeared. Most players I knew dropped the game in the switch-over. They'd enjoyed the mythology and story enough that the new version had little appeal. Werewolf's always offered the most borderline of the WW horror games. I think it still remains a horror game, with a battle against dread and awful forces running parallel to internal conflicts about giving in to urges. WW: Forsaken offers some complexity- a set up less clear-cut than the previous one. But it isn't a game I hear discussed much. 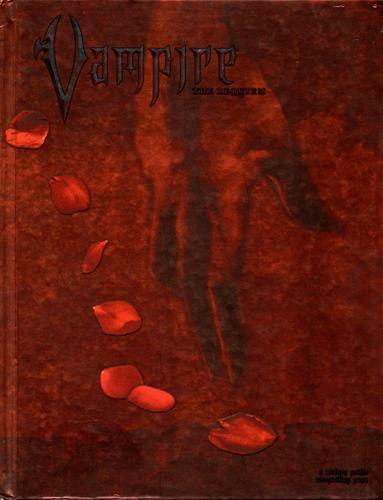 There had been earlier parodies of White Wolf's Vampire line and the ethos associated with it, but Bloodsucker represents one of the most complete and playable attempts. It offers a tongue-in-cheek take, with supplement items like Cliquebook: Gothistocrats. It even has secondary lines in the form of Chav: the Knifing. Oddly this game first appears even as the World of Darkness gets rebooted, which seems a little late to really seize the moment. A few years earlier when VtM was in its heyday and the game might have been a lot more relevant. It took some hunting around before I realized this setting book for Savage Worlds is based on a series of books. And not a small series, but one with nine volumes. 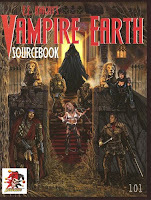 The Vampire Earth Sourcebook arrived when there were only four books in the series. 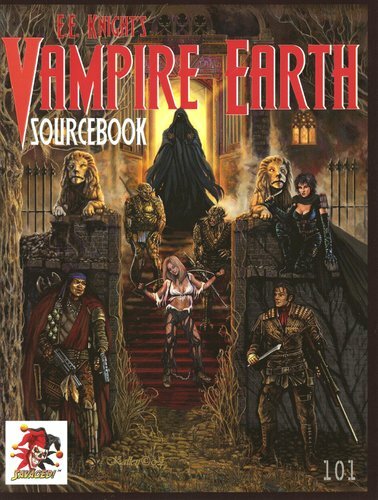 As many settings have done, Vampire Earth drives post-apocalypse straight through to horror. In this case, aliens known as Kurians engineer the collapse of the world and take over. They feed on the life energy and auras of humans (ala Lifeforce). The Kurians have created a number of monstrous races, like more classic vampires and werewolves, to serve them). It's nice to see some interesting horror series get rpgs, but these aren't books I'm familiar with. As the internet has expanded, more free fan projects have adapted settings (some good, some bad). RPG books like these will need to be stronger sourcebooks offering insight to compete with that. This is on my list of settings I've only had a chance to glance at but want to pick up someday. I usually like the material presented in Savage Worlds books, as the mechanics don't take up too much space. Rippers offers Victorian Horror, but with a couple of twists. The players take the role of monster hunters in a world brimming with classic supernatural foes. In order to fight against these potent enemies, hunters may equip themselves with devices or even limbs and organs from the bodies of slain enemies. Of course they become stronger, but at a cost to body, mind, and soul. That's a cool conceit- and one which takes Steampunk ideas and subverts them into 'Steam Bio-Tech.' 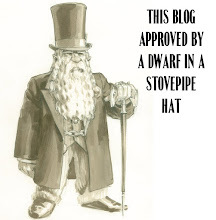 I suspect some version of this will work its way onto my campaign pitch lists. I wonder if we should consider alt-history horror as a particular horror genre or simply a mash-up of two approaches? Dark Millennium has an 11th century in which the End Times begin. That's an interesting approach- I appreciate when games take their religious themes seriously or at least engage with them. Too often rpgs throw angels and devils in there just to spice up the details. Or the Apocalypse is presented as an action movie. I just think if you're going to bother to use the background, you should make the most of it. Dark Millennium has players trying to survive in this new world of horror. In some ways it reminds me of Clockwork& Chivalry in which a supernatural event has wide-ranging effects on the world, but people still try to live their daily lives and muddle on. An interesting toolkit for running many different kinds of horror games, with an emphasis on modern situations. Dead of Night sets up many different kinds of threats and offers advice on how to run them. I like the notion of balance and sacrifice in the rules. Characteristics are paired up; increasing one requires reducing the other. Dead of Night also has a player currency in the form of "Survival Points." On the one hand these represent hit points of a kind, but they can also be spent to invoke other mechanical effects (gaining initiative, flipping values). I've come to believe as a general rule rpgs with player empowerment and narrative control mechanisms- like FATE- don't work as well for horror games. I believe players ought to have a sense of threat and lack of control to make a horror game hum. It may be why the funky spend mechanics of something like The Esoterrorists actually works. Dead of Night makes a smart choice in limiting control opportunities and forcing players to choose between a opportunities and surviving another fight. DoN offers some solid ideas for horror GMs, especially the second edition. Chris Engle's Matrix Games offer a brilliant concept wrapped in terrible presentation and proofreading. The Matrix system gives narrative power to all players, suggesting interactions between GMs and players can be seen as a form of argument. A player suggests something happens, describes a method, and then provides supporting reasons (circumstances, skills, items). Based on the strength of that support, they roll a die to see the result. We've found it a great method for handling broad-scale actions in other games. Arkham Terror showcases two horror frameworks using these rules, more large scale party-games than a campaign. Both are tongue-in-cheek and use the Lovecraft Mythos only lightly. Still they show how different narrative mechanics can be applied to emulate horror. A German horror rpg based on the work of Wolfgang Hohlbein. He wrote or co-wrote a vast number of novels dealing with Robert Craven, the Witcher set in the late 19th Century with him often battling against the Cthulhu Mythos. This rpg updates and moves the action to the 1920's to bring it more in line with Call of Cthulhu. It offers a sincere pulp take on this horror tradition. I've steered away from adding modules to this list, but I have to make an exception here. The Mountain Witch is a self-contained rpg and adventure. It combines Japanese lore, monsters, mythology, and ghost stories to create a compelling narrative. Players seek to destroy the witch of the mountain but at the same time find their bonds of trust and loyalty tested. I'm a big fan of Kwaidan and Japanese horror, and I think an samurai story can be enhanced by these elements. There's a great review of it here: Review: The Mountain Witch. The Mountain Witch was runner-up for four different indie rpg awards in 2005. I recently saw the trailer for Hansel & Gretel Witchhunters! or whatever that's called. These stories get taken up by different eras and audiences- sometimes cringeworthy. 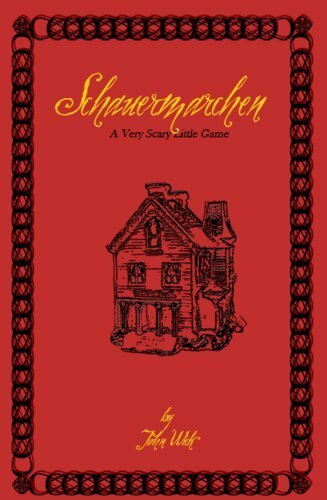 Schauermärchen tries to capture a little bit of that feel, and it is closest to Grimm in tone and approach. The PCs play children trapped in a strange old village with a nameless horror closing in. It is a impressionistic game, more a poem or essay than a complete rpg. Still for GMs who run using fairy-tale elements, it is worth tracking down. Another game I've had a hard time finding anything about. It seems to be a horror rpg with a conspiracy bent, at least as the pitch-line presents it: "Dare you to read this book? The government may not want you to. Who knows what malevolent spirits this forbidden text might release? You may be led off the path of righteousness into the realm of the supernatural. But if you dare, you may now secure your copy of this secret book, which provides all the rules of reality and beyond. But be forewarned: this is a 'Majic' project, classified 38 levels above Top Secret, and it is still experimental, cutting-edge role-playing game material." But looking at the supplements for it- Ghost Stories, Triangles of Terror- Phenomenon seems to be a generic modern hunters against the paranormal game, ala X-Files. Lewis Carroll's work has inspired a number of games- Wonderland No More: Adventures in a Wonderland Gone Wrong, Passages, Adventures in Wonderland, and is even referenced in Grimm IIRC. Of course there's also American McGee's Alice which adds a horrific subtext to the story. Wonderland uses the JAGS system to create a setting of uncertainty, closer to Tim Burton's take than to the original. Wonderland itself is a dangerous and infectious place, twisting those who travel there and changing them. Wonderland's horror comes from freakishness and uncertainty. It uses insanity, confusion, and contradictions to unsettle the players. The game does have a meta-plot, however, showing the intent of the designers to create a lasting setting for weird fantasy. 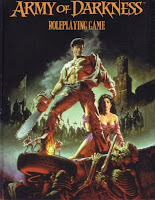 As much a sourcebook as an rpg, the Army of Darkness rpg applies Unisystem to this 1992 film. It has some great ideas for how to expand the universe presented there, but it also gives guidelines for emulating events from the movie (building stuff, gathering and training peasants). The book's put together well and might offer a lighter approach to action-horror, more accessible to some groups. Of course, one could easily go back to the earlier films and think about how to bring some of that terror to the table. Those films had slapstick, but they also offered visceral shocks and terror. There's slow damnation, taunting, and isolation that I think lends itself to a small group session.